Attorney General Jeff Sessions has suggested Andrew McCabe authorized the FBI to talk to the media about a Hillary Clinton-related criminal inquiry. This was followed by the accusation he “lacked candor” when asked by internal investigators about it. 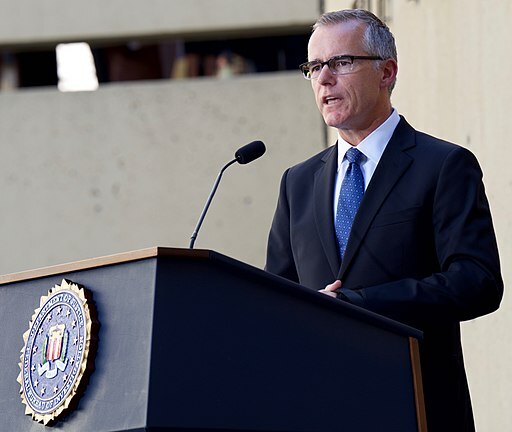 As Deputy Director of the FBI, McCabe was responsible for authorizing conversations with the media, and it is not suggested McCabe “broke the law” when he authorized the FBI to talk to the media. Details are not yet public, primarily because the Justice Department has refused to released the report developed by its own internal watchdog group. The lack of transparency makes McCabe’s firing very questionable and suspicious, given President Trump’s tweeted attacks on McCabe. President Trump sees McCabe, and the FBI, as part of the Mueller Investigation, and consequently classifies him as an enemy. The second allegation stated Andrew McCabe “lacked candor” during his description of authorizing investigators to speak with the media. The word candor means the state or quality of being frank, open, and sincere in speech or expression. They are not accusing him of lying, they are accusing him of not being frank, open, and sincere. If you have ever been tired during a conversation, the person you were speaking with might not believe you were being frank, open, and sincere. The decision on your sincerity, or frankness, is almost totally subjective. There is also the timing to consider. The Justice Department fired McCabe one day before his retirement, in a process that was rushed. Given the President’s tweets against McCabe, it seems very likely the pressure was on Jeff Sessions to damage McCabe vindictively, by going after his retirement package.